Katsuyamadate is located at a slope of the height projecting into the Sea of Japan, at the mouth of Amanogawa river in Kaminokuni town at the western coast of Oshima peninsula. 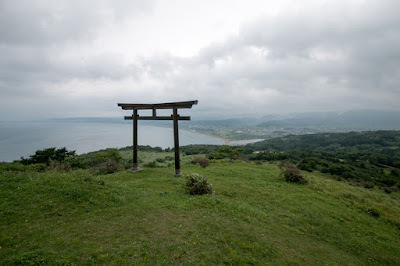 Kaminokuni area is a mid size valley along with Amanogawa river, being surrounded by warm Tsushima tide and mountains its climate is quite gentle considering it locates at Hokkaido island. 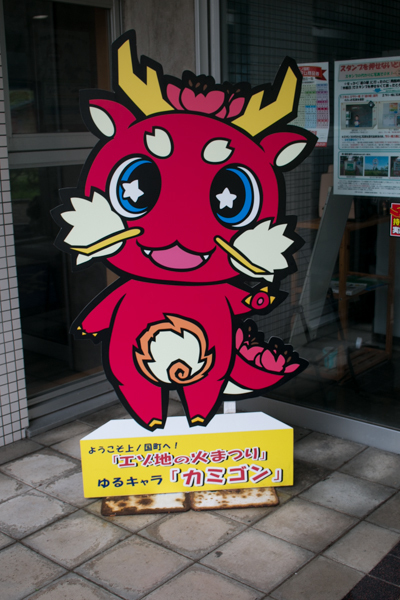 Furthermore. having wide mouth of the river and Suneko cape stands as if to protect the port, it was a suitable place to build a port in medieval era. 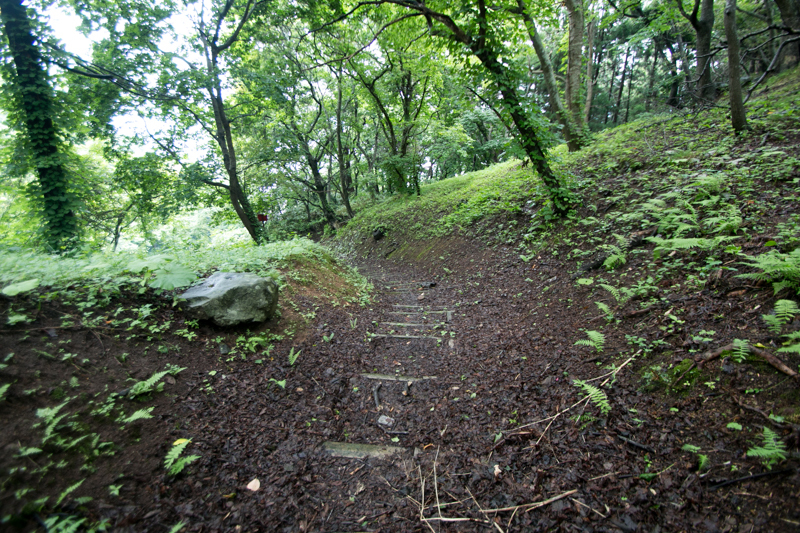 Because of its geographical conditions, mainland people lived at Kaminokuni area from early days. 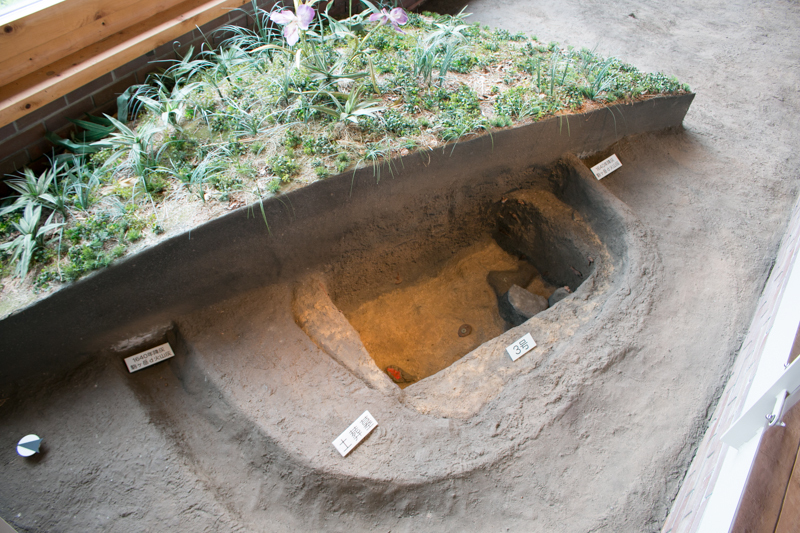 Around 8th and 9th century, overseas trade between Japan and Balhae, a large nation spread from northeastern part of Korean peninsula and Primorsky Krai area of Russia, had been actively carried. 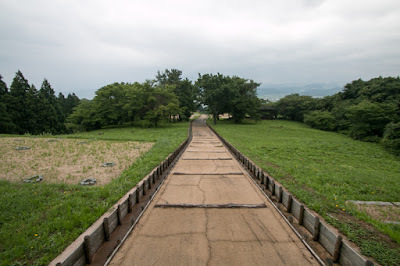 Because of premature navigation technique of this time, ships had to sail along with the ocean, and they crossed Sea of Japan either of Korean peninsula route or Hokkaido and Sakhalin island route. Since then Katsuyamadate might be used as an anchorage. Later trade with Balhae disappeared, but marine trade along with the Sea of Japan grew during medieval era, and Kaminokuni port became a three major port of Hokkaido island along with Hakodate port and Matsumae port. 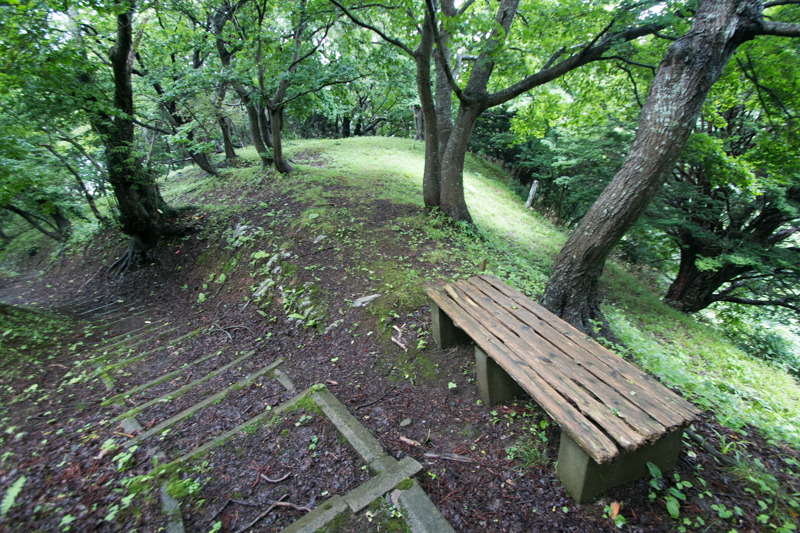 Katsuyamadate was built by Kakizaki clan in 1462. 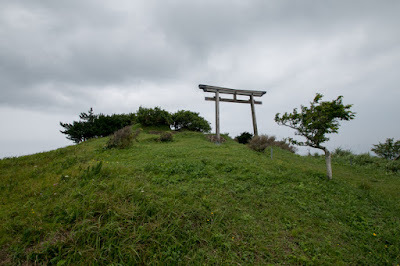 Kakizaki clan was originally a descendant of immigrant from Honshu mainland, and a small lord of Kaminokuni area and lord of Hanazawadate, one of Donan 12 residences which were the 12 colonies of main land oriented people spread along with the shore of Oshima peninsula. 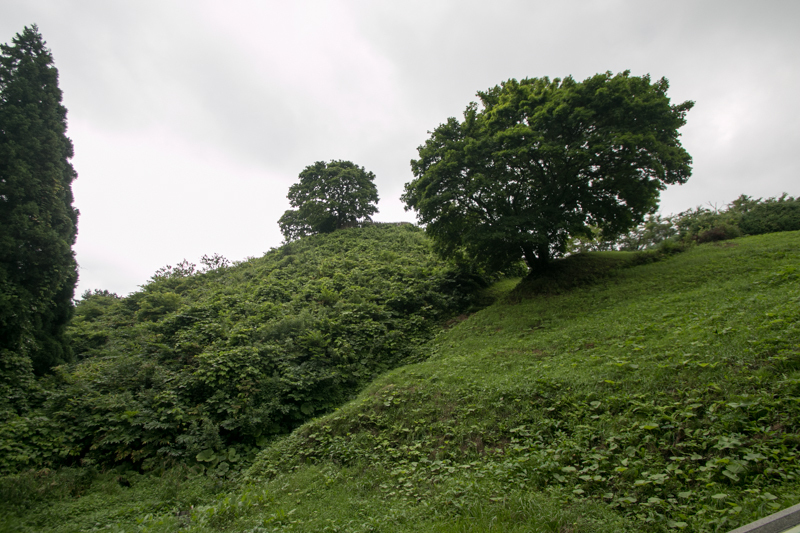 In 1457, a large rise of indigenous people called as Ainu occurred lead by their leader Koshamain. 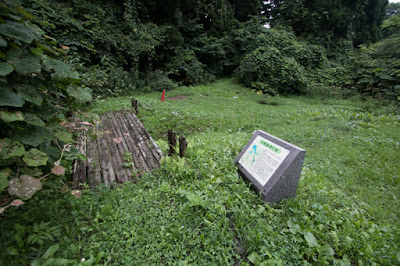 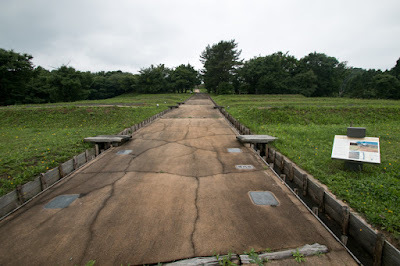 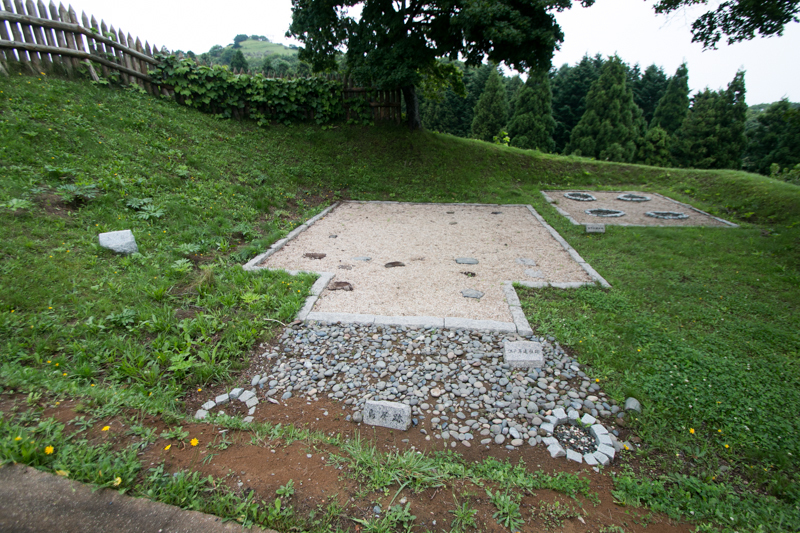 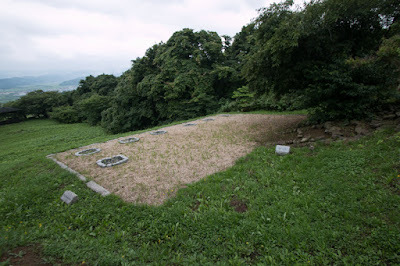 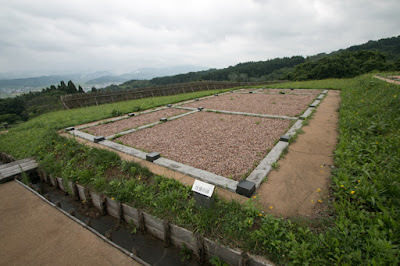 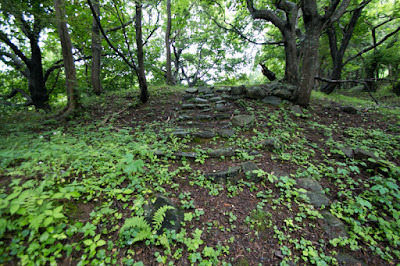 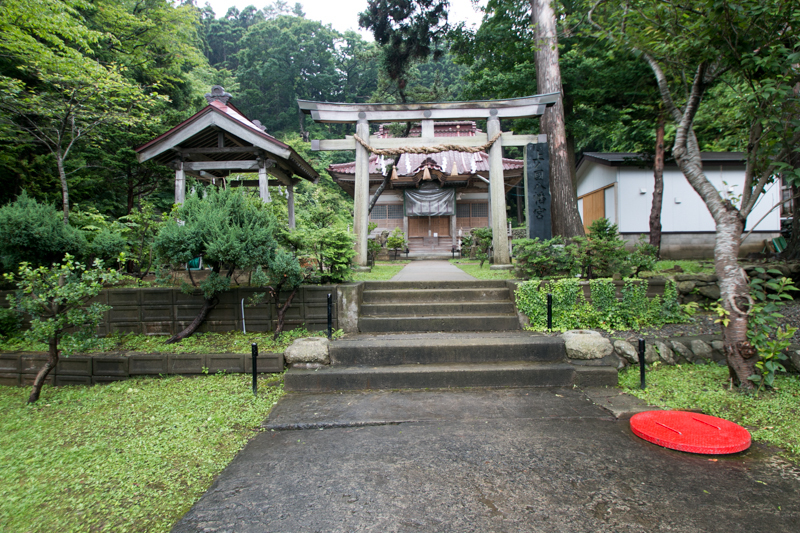 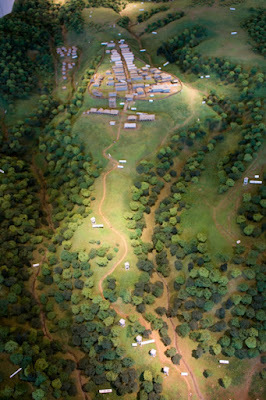 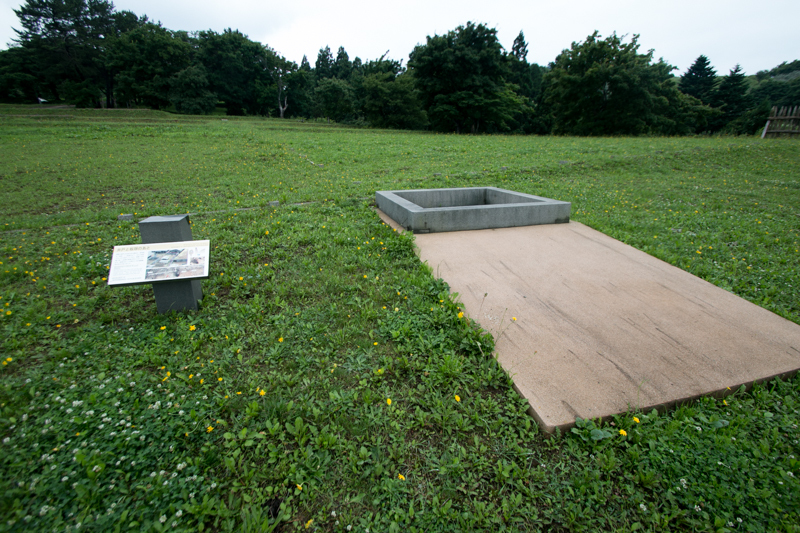 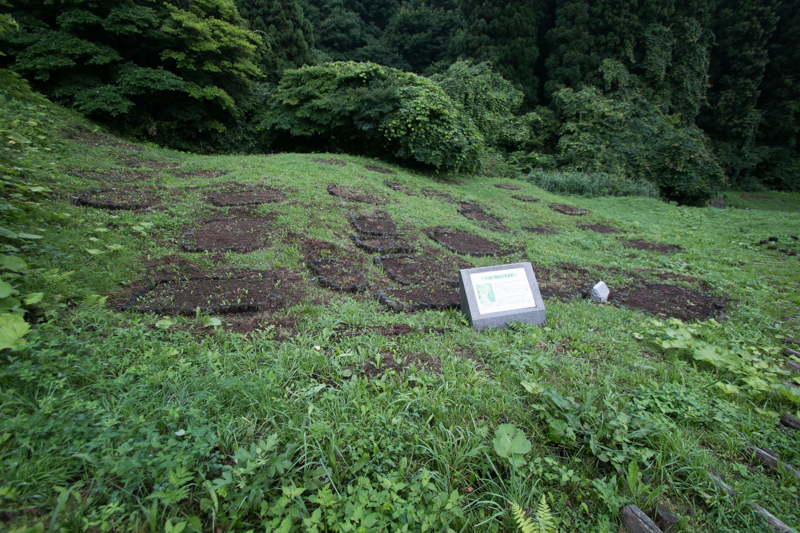 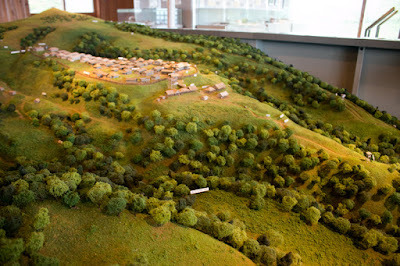 Ainu army fell 10 of 12 residences, but as Hanasawadate was built at sheer ridge, Sueshige Kakizaki (?-1462), leader of Kakizaki clan, barely could reject the attack of Koshamain. 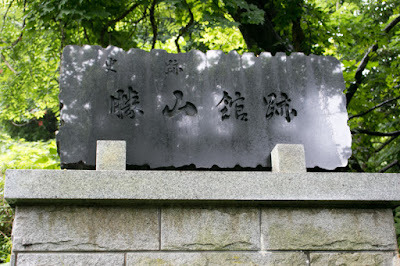 Nobuhiro Takeda (1431-1491), the guest general said as a descendant of Takeda clan at Wakasa province (western part of Fukui prefecture), activated at this battle, then Sueshige let Nobuhiro marry with his daughter and succeeded the leader position to Nobuhiro. 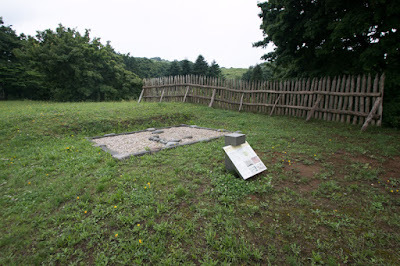 As other mainland lords lost the power during the battle, Kakizaki clan became the leader of mainland oriented people at southern Hokkaido island. 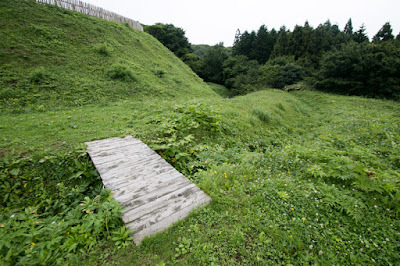 At that year Nobuhiro built Suzakidate and held a ceremony of establishing new nation, to declare now Kakizaki clan became the lord of Hokkaido island. 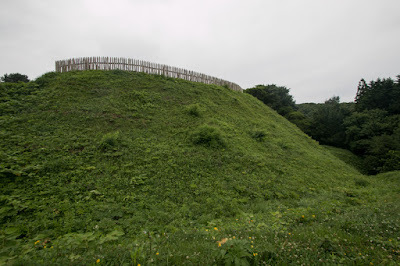 Even though Kakizaki clan could suppress the rise of Ainu people, they were immigrant and totally inferior at population. 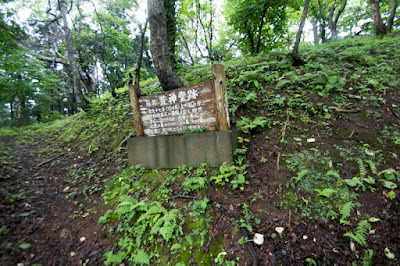 Suzakidate is a residence built at low hill, and still had a risk to be attacked. Nobuhiro decided to built more splendid and secure castle near the Kaminokuni town, and built Katsuyamadate in 1462. 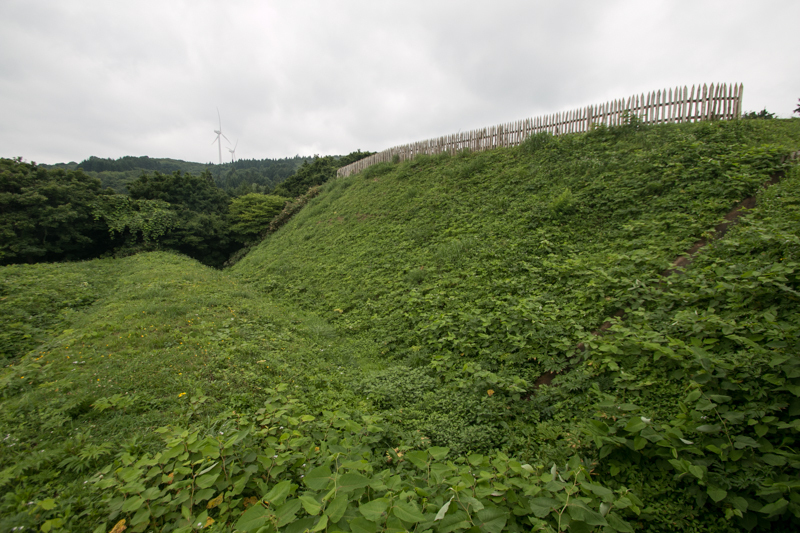 Katsuyamadate spreads along the ridge from plateau of Cape Suneko at the left side of Amanogawa river. 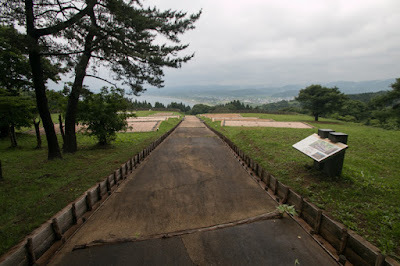 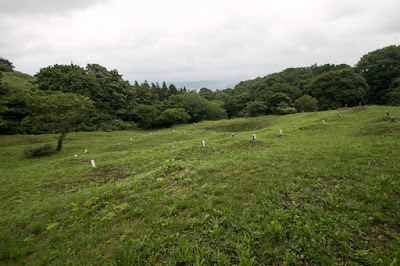 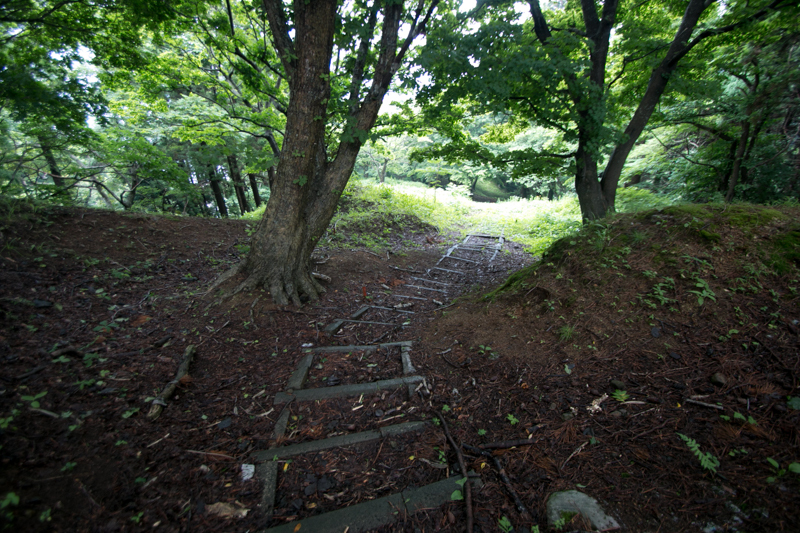 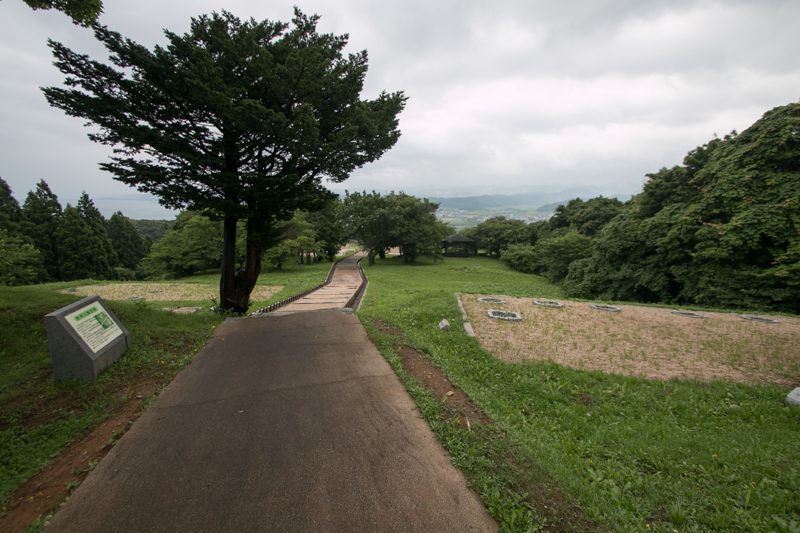 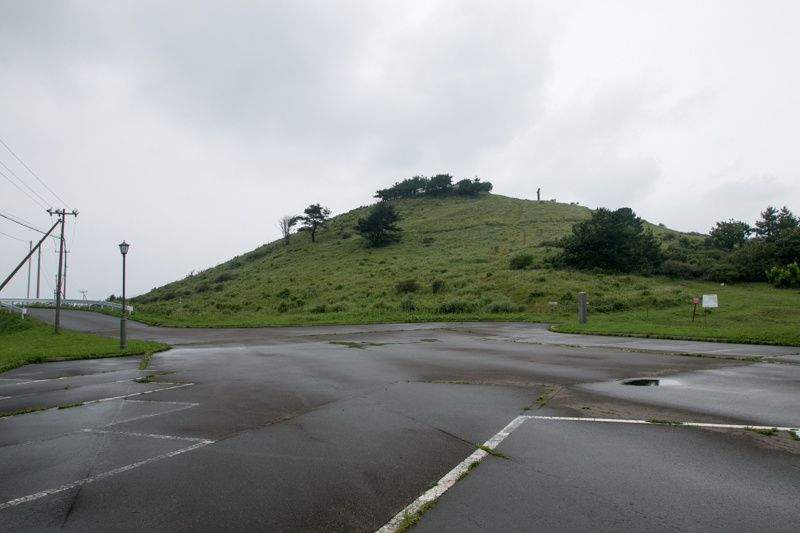 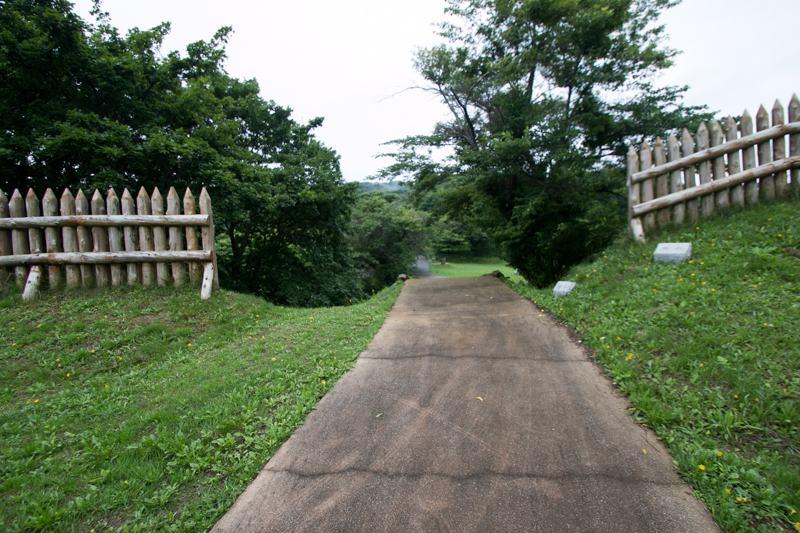 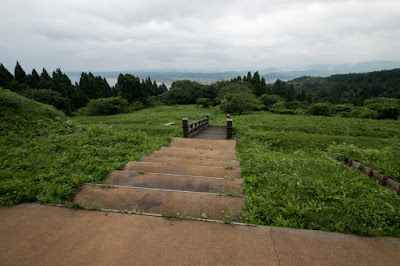 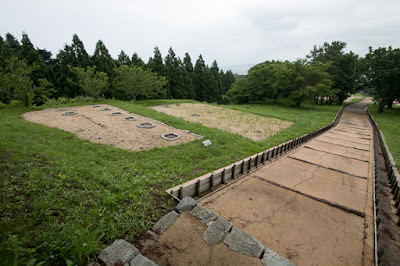 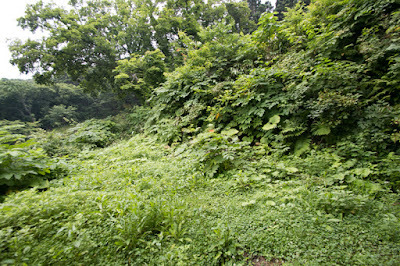 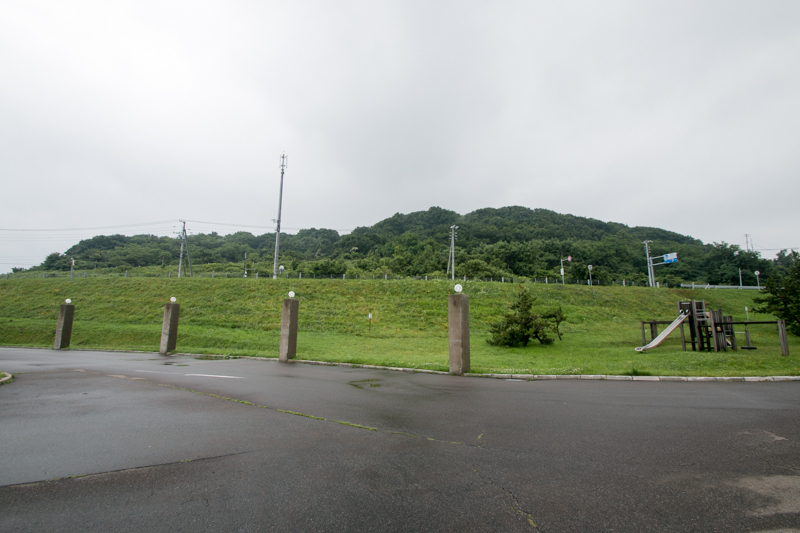 The ridge where Katsuyamadate locates is separated by deep valleys from both side, thus it was only necessary to guard the attack from hilltop and hillside. The main body of the castle is a wide area of 250 meter long and 100 meter wide. 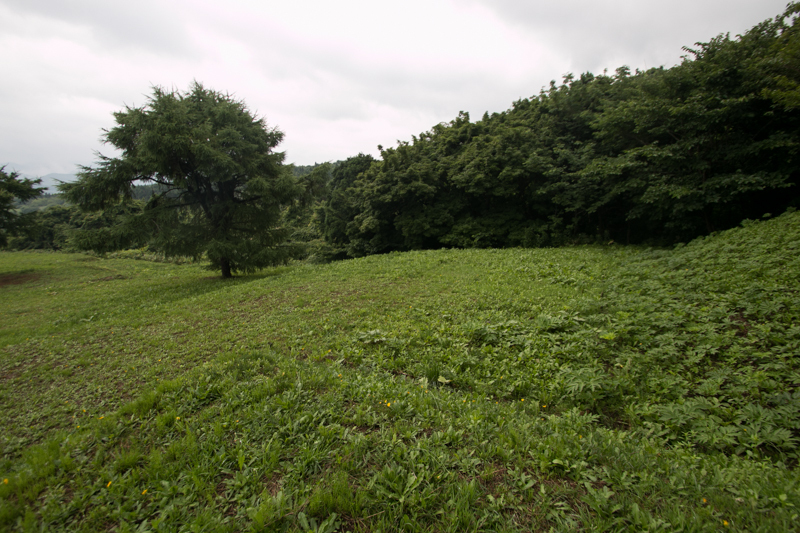 which spread from top to halfway of the slope and looks like a European pear toward north. 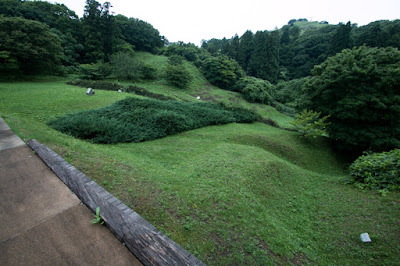 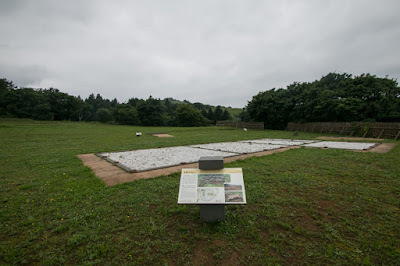 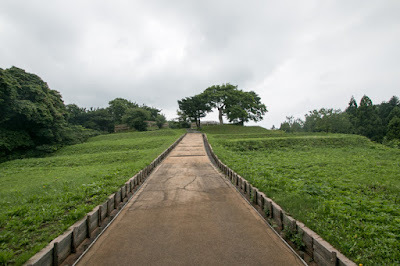 Inside of this area is separated into over 20 terraces along the slope, and the residence of the lord might be built at northwest edge of the area, from where the scenery of the valley and town is well seen. The residence of the lord might be a large one with garden and stable. The backside of the castle where is the top of the slope and connects to backside mountain was the weak point of this castle and securely protected by wide and deep dry moat and clay wall which is over 10 meter tall from the bottom. 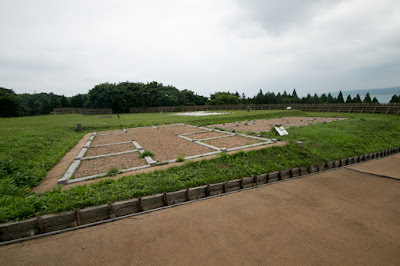 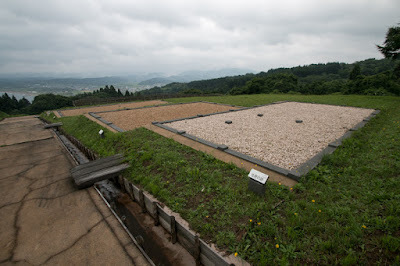 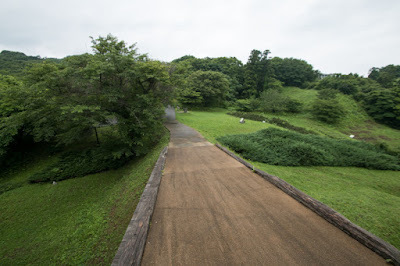 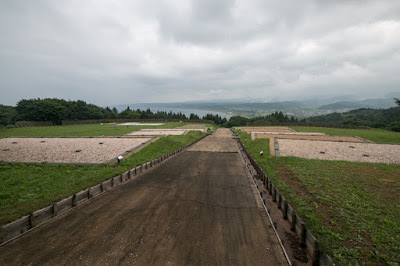 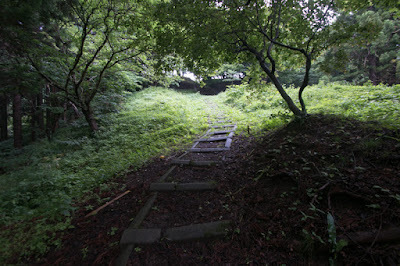 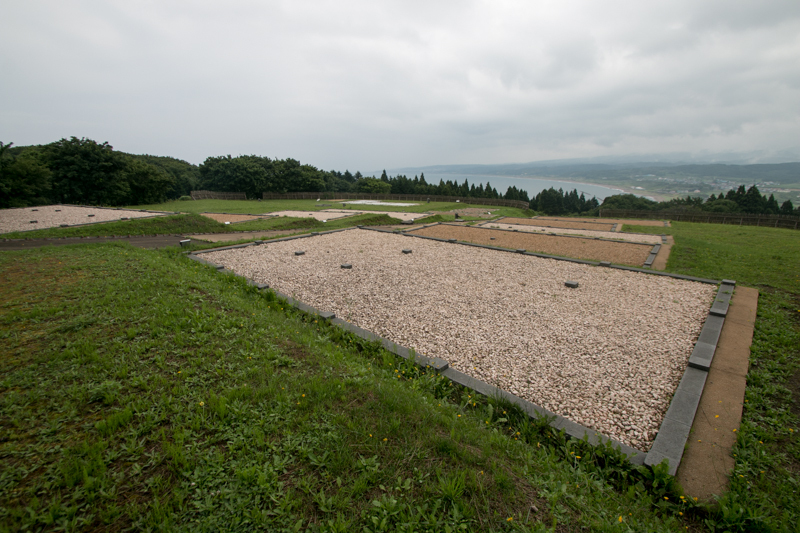 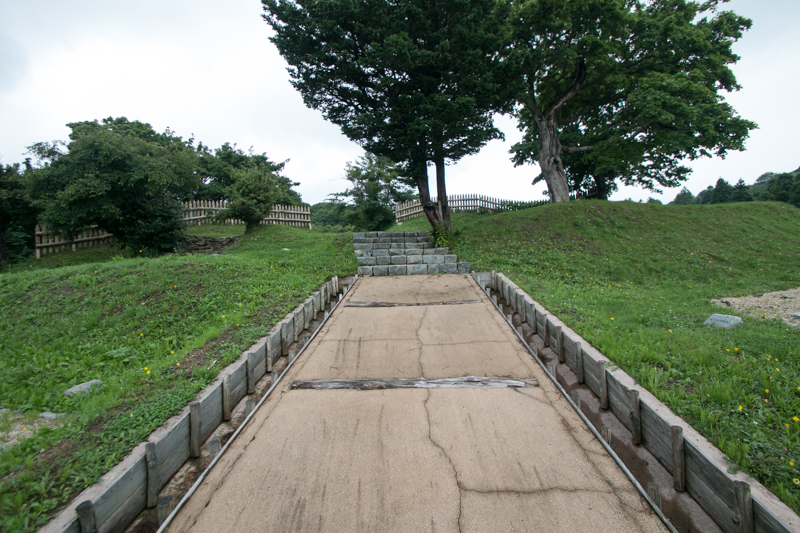 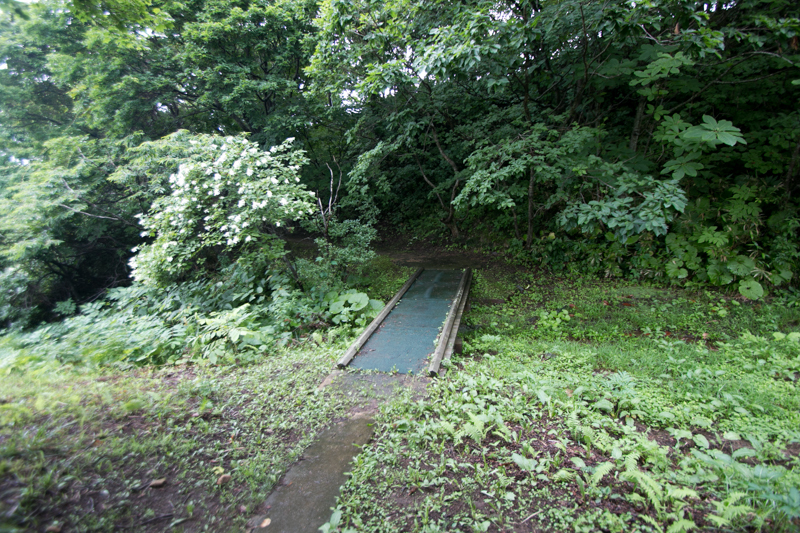 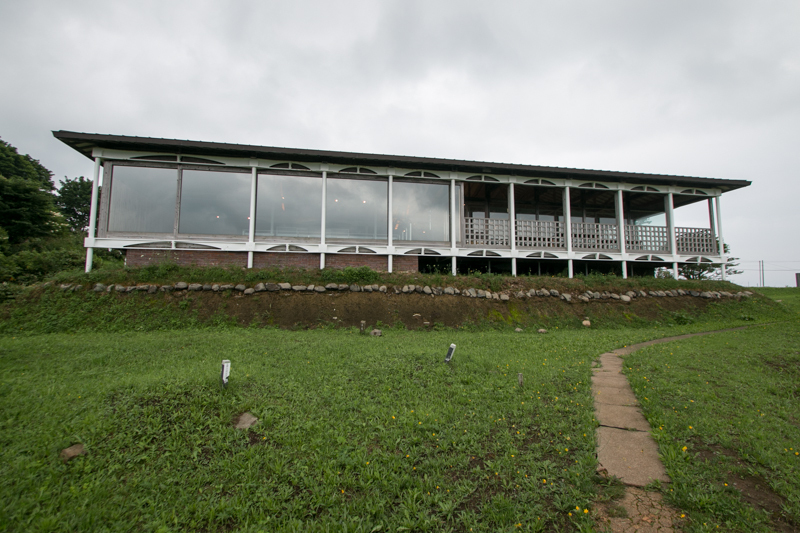 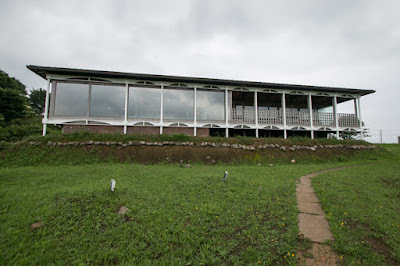 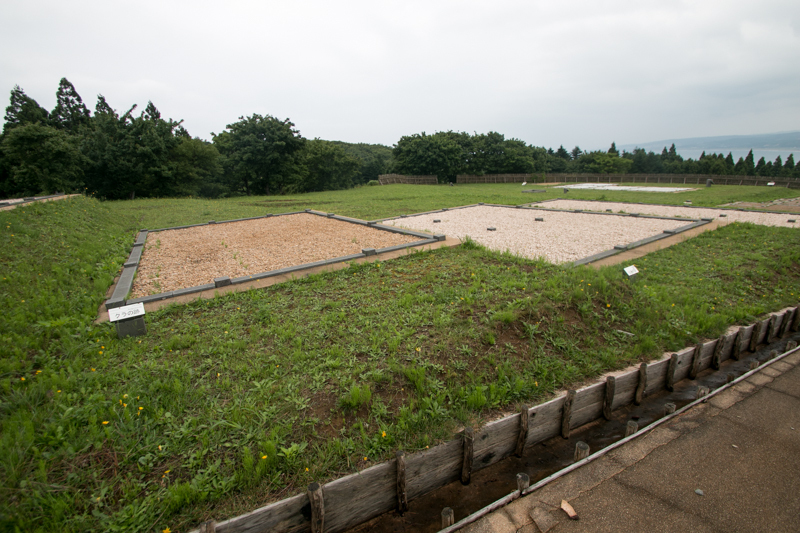 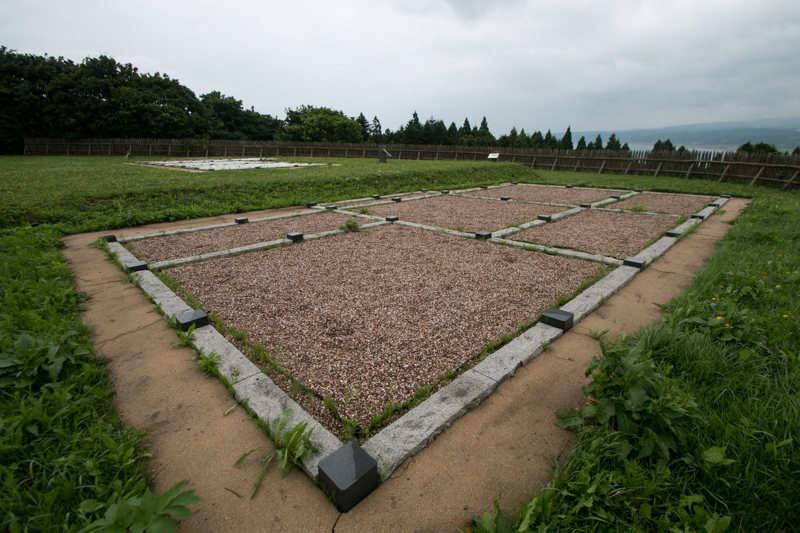 At the backside of the castle, there are several terraces used as warehouse, water source and disposal area. 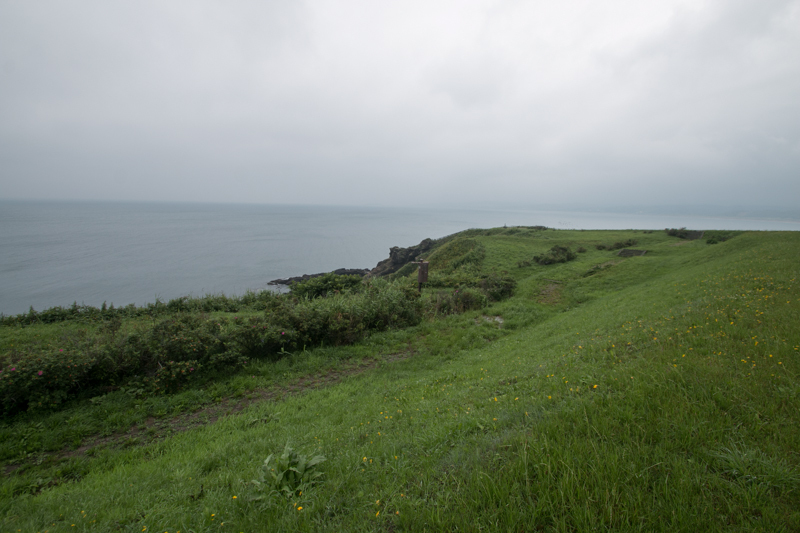 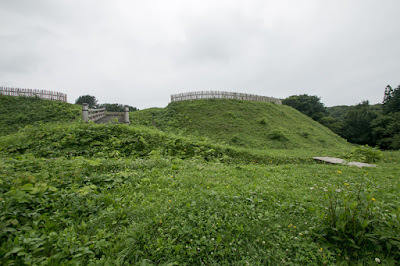 Over the backside hill of the castle, tomb of people including both mainland oriented people and Ainu people spread all over the hill. 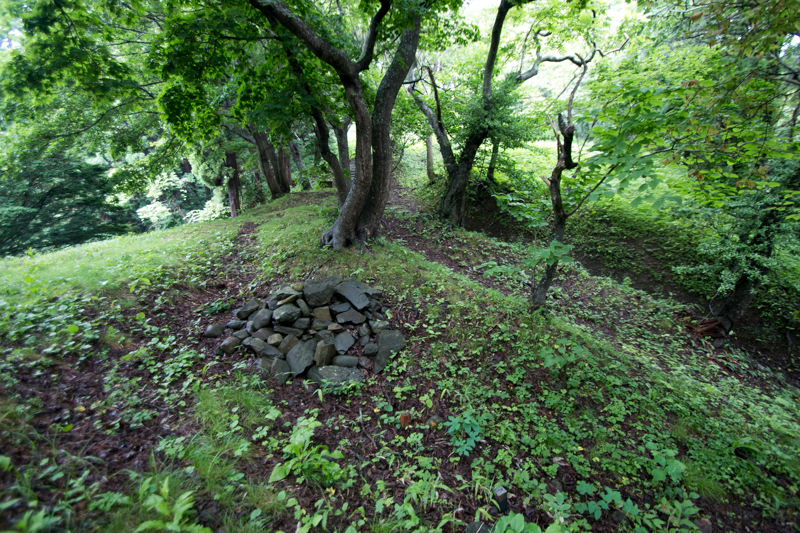 Front side of the ridge is an another weak point of the castle. 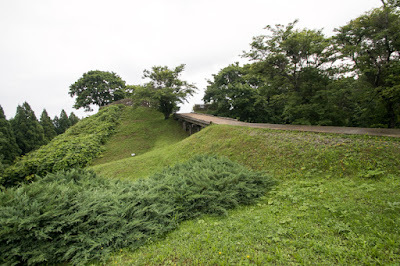 Front entrance of the castle is securely protected by sheer clay wall and two layer dry moat with a winding road. 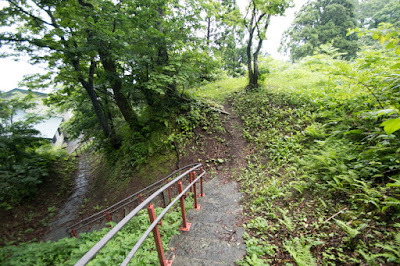 Furthermore, along with the long climbing route from hillside to main entrance continues over 250 meters, many terraces are built along the road to attack the enemy climbing up from hillside. 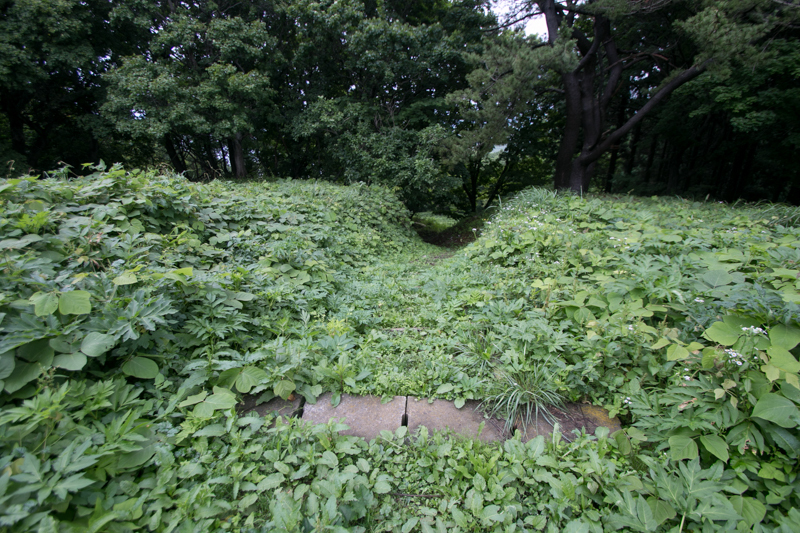 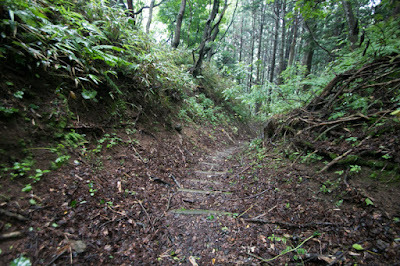 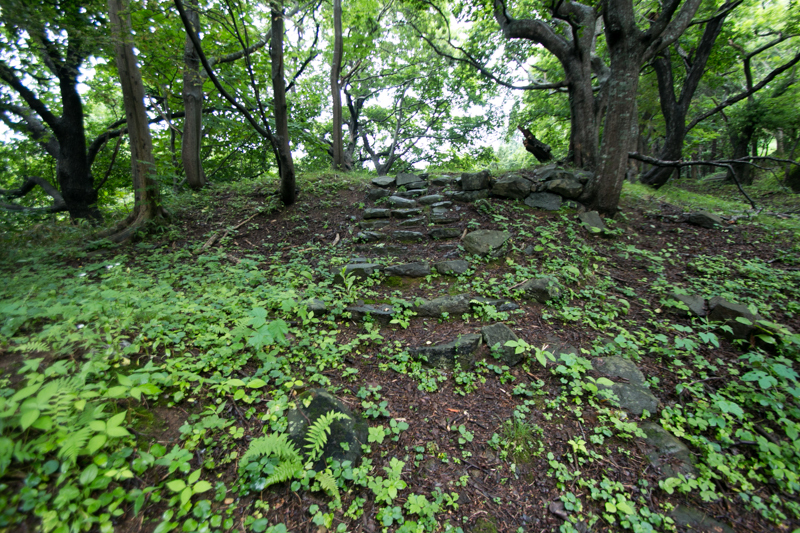 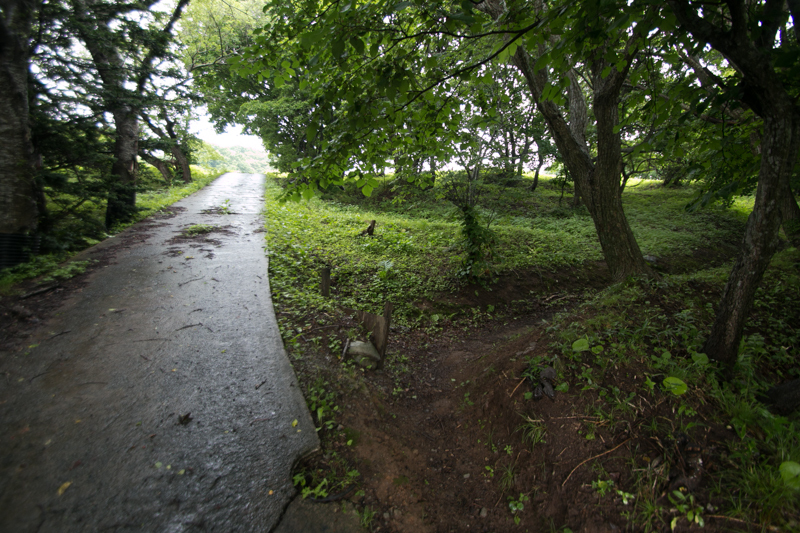 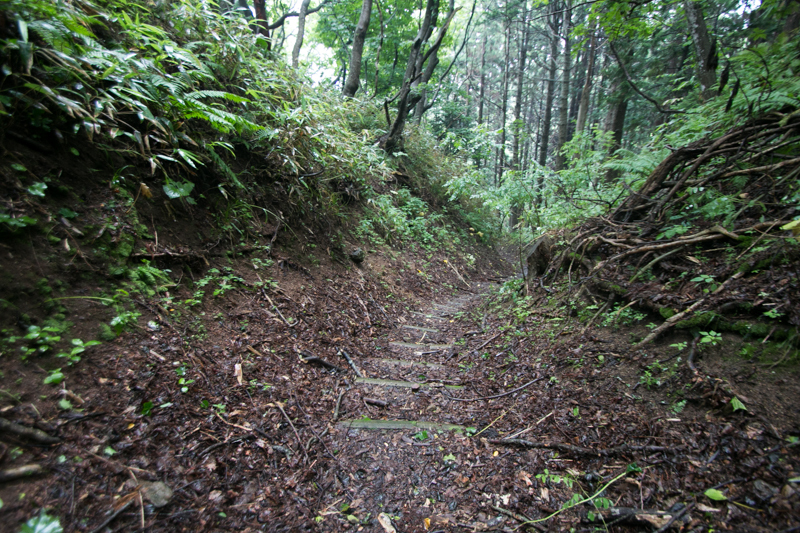 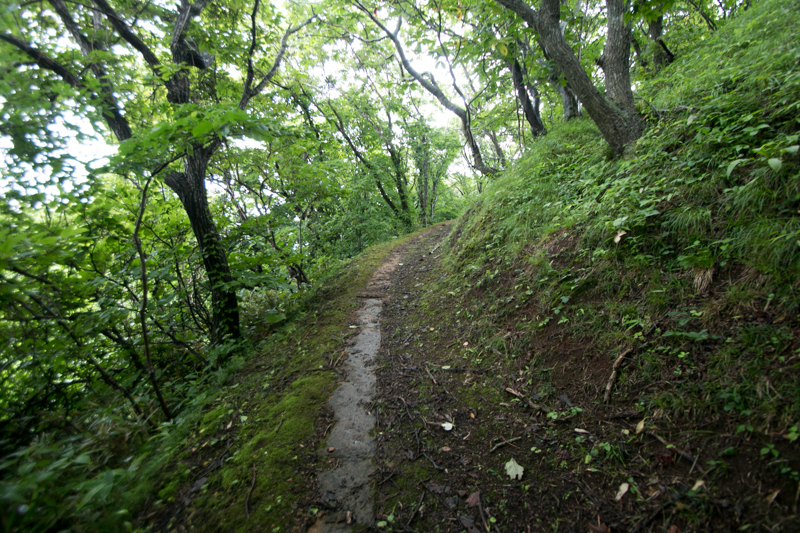 This main route has a impression of dignity and pressure, to show the authority of Kakizaki clan and to prevent the attack of Ainu people. 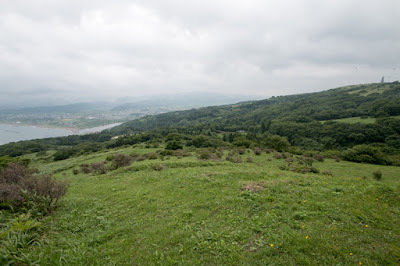 Just at the backside of the castle, a small but beautiful corn shaped Iozan mountain exist. 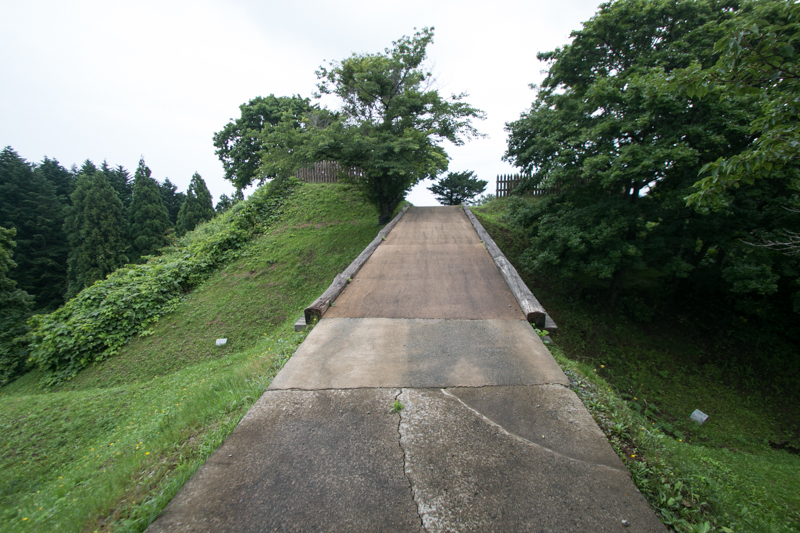 This mountains gave the authority to Katsuyamadate castle in peace time, and in case of emergency it might be used as a watching place and evacuation place. 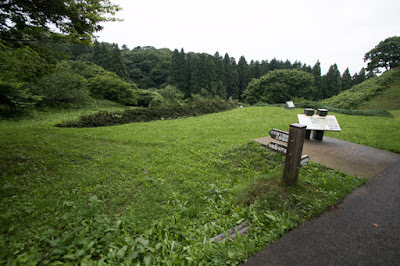 Considering territory and population of Kakizaki clan Katsuyamadate is a large one, but is might be thought as an evacuation place of common people in case of the battle with Ainu people, as it was the battle between different culture. Located at Katsuyamadate, Kakizaki clan had grown their power beating continuous rise of Ainu people. In 1514, Kakizaki clan moved their main base from Katsuyamadate to Odate which was one of the Donan 12 Residences and located at the inside of Fukuyama port. 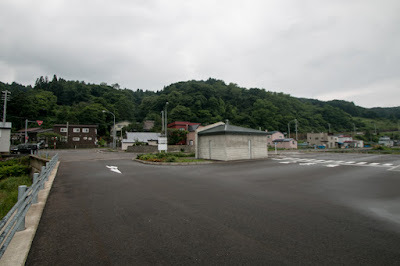 Matsumae area is located at the middle of Kaminokuni area and Hakodate area and closer to Honsyu main land, and it was suitable to govern whole Oshima peninsula. Interestingly Odate has totally same structure of Katsuyamadate, consist of large main body and secure defense line at both side. 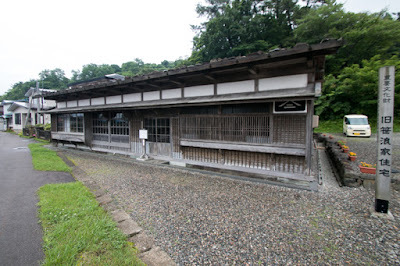 After the move to Matsumae, Katsuyamadate had been kept as an important base, and relative of Kakizaki clan governed it. Just at the same time, situation around Tsugaru straight significantly change. 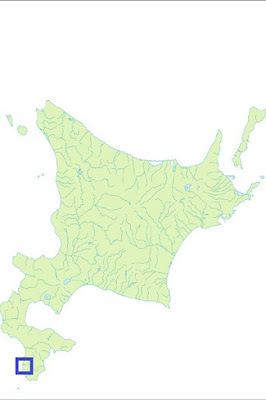 Originally Kakizaki clan governed Oshima peninsula as a magistrate of Ando clan, a traditional clan held Tsugaru area of Aomori prefecture and prospered at Tosaminato port since Kamakura era. 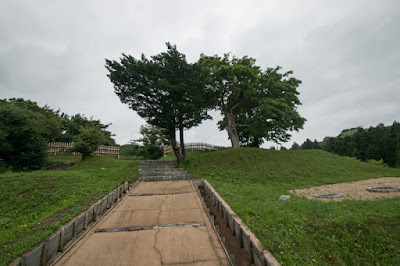 Ando clan advanced and seized north part of Dewa prefecture (Akita prefecture), but at the middle of 15th century, they lost Tsugaru area before the pressure of Nanbu clan which had Hachinohe area in east half of current Aomori prefecture. Ando clan once retreated to Hokkaido island and seek chance to recover Tsugaru region but they could not do so. Later Ando clan gave up the recovery of Tsugaru region and chose to expand their territory at Akita area. 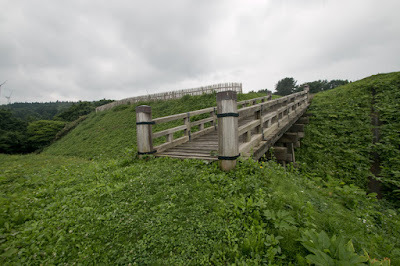 In the latter half of 16th century, Chikasue Ando (1539-1587), the leader of Ando clan, gathered divided family and changed it into the warlord of Akita province, but this also meant they had less interest on Hokkaido island. Yoshihiro Kakizaki (1548-1616), the leader of Kakizaki clan at the same period, follewed to Chikasue but seek the chance of independence. In 1590, Chikasue Akita subordinated to central ruler Hideyoshi Toyotomi (1537-1598) and was certified as a feudal lord under Toyotomi government. 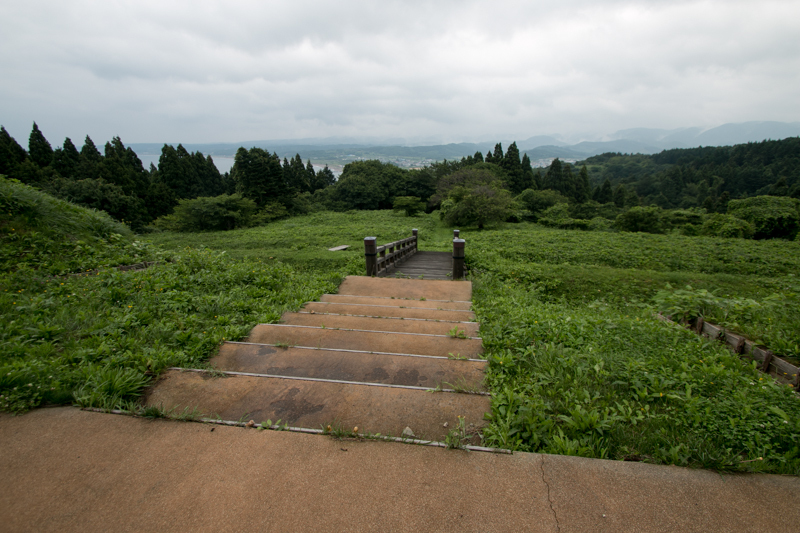 When Chikasue visited Kyoto city, the capital, to meet Hideyoshi, Chikasue accompanied this and appealed his presence to Hideyoshi. 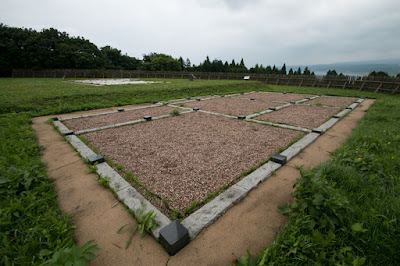 Hideyoshi appreciated this much as it had a political effect that even north island obeyed to Hideyoshi, and gave the license to Yoshihiro that Kakizaki clan could manage Hokkaido island and collect tax. 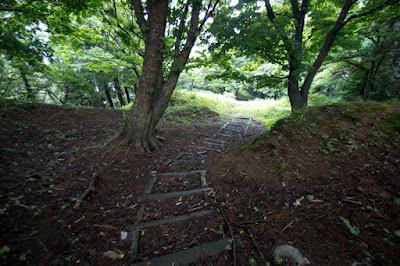 Based on this fact, at last Kakizaki clan became the lord of northern island. 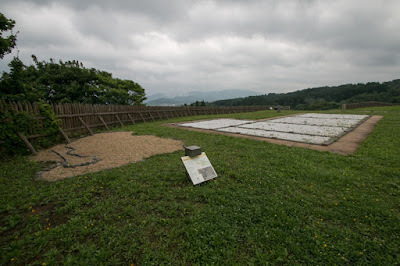 Next ruler Ieyasu Tokugawa (1543-1616) also approved the status of Kakizaki clan, and Kakizaki clan became the feudal lord under Edo Shogunate. 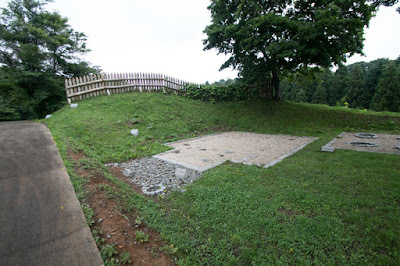 Kakizaki clan changed their name to Matsumae clan and started their new history. Katsuyamadate had been used until around 1600 but was abolished and local government moved to Esashi area, much inner area but had wider flat area. Today all building was lost but shape of the castle still well remain on the slope. 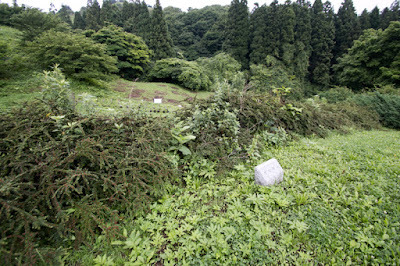 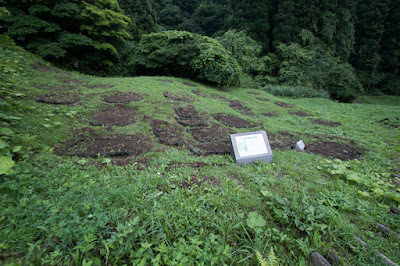 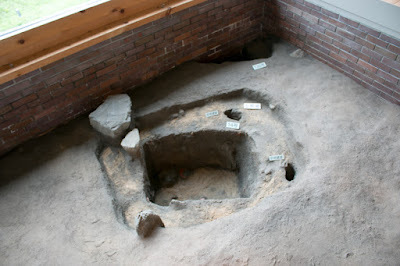 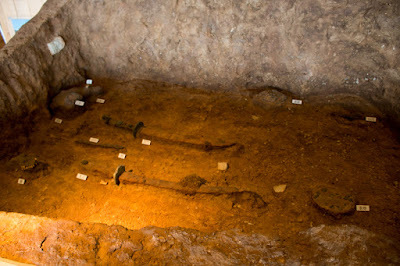 As a result of investigation, numerous relic such as pottery or metal goods along with the trace of buildings, and fences or bridge are rebuilt at castle site. Secure structure and magnificent scenery from castle site deserves for ambitious northern lord, and also first capital of Hokkaido island. 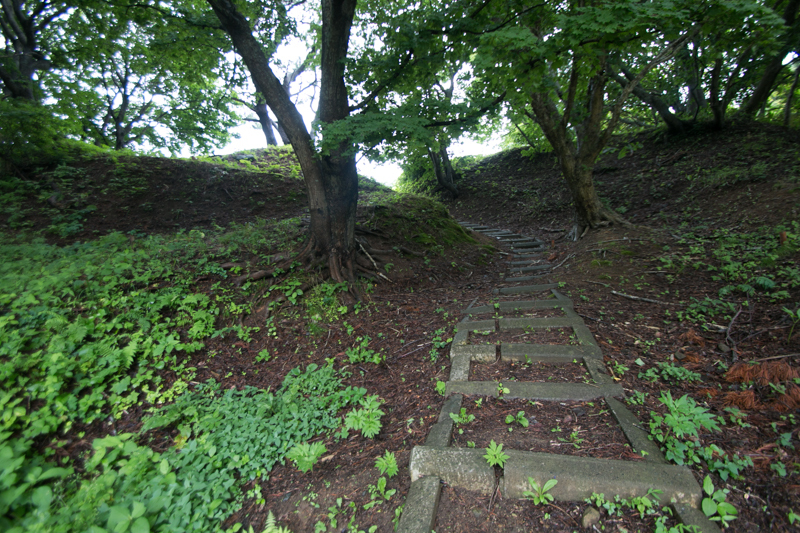 100 minutes drive from Hakodate city. 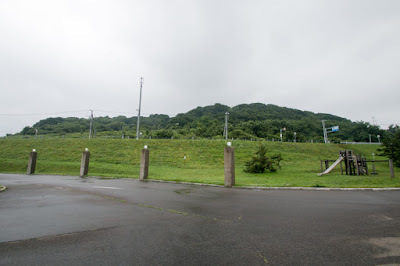 It might be possible to visit by bus via JR Hokkaido Kikonai station or Esashi bus terminal from Hakodate city but would be troublesome.